Turkish Cultural Center Bergen Cooking Class starts on January 7th,2015. 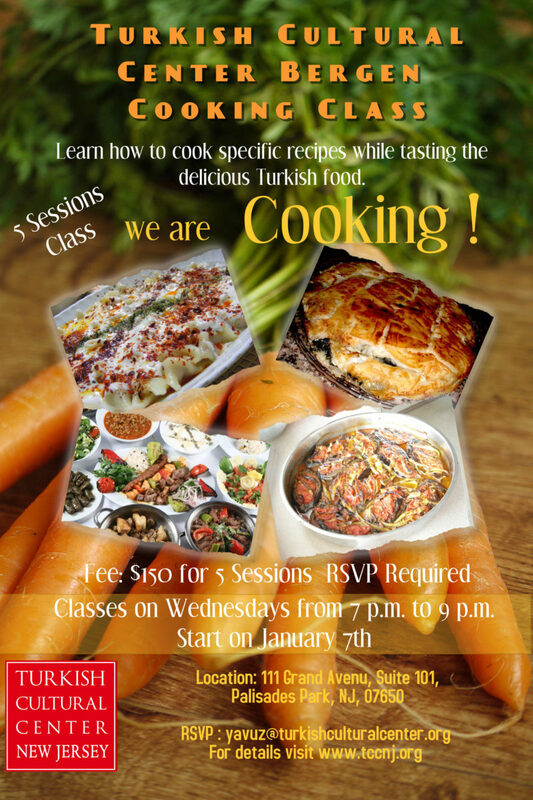 The class will have 5 sessions and participants will learn specific recipes from Turkish Kitchen. It is a great opportunity for meeting new people and enjoying new experiences with different people of the community and learn how to cook specific recipes from Turkish Kitchen while tasting the delicious Turkish Food. Sessions: Wednesdays from 7 p.m. to 9 p.m.
Fee: $30 for per session.